Ask any real estate agent and they’ll tell you the bathroom can make or break the value of a house. 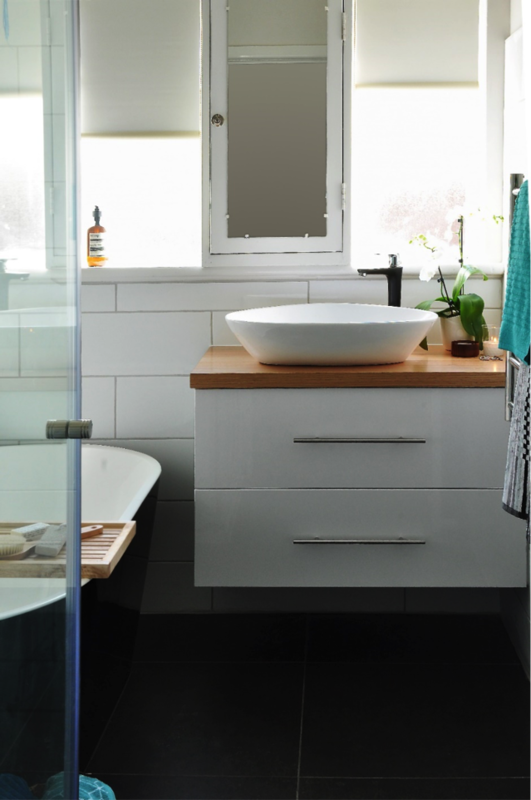 If you’re building or renovating, take the time to get your bathrooms looking fabulous. It’s where you start and finish each day. The average person will spend about 1.5 years of his or her lifetime in the bathroom. It’s the ultimate judgment zone. Anyone entering your home is probably going to use your bathroom at some point. It sets the tone for the rest of your home. Do you have candles, artwork and matching towels on display or rolls of toilet paper stacked on the toilet? This isn’t the place to take any décor shortcuts. It’s where inspiration strikes. Do you get your best ideas in the shower? Enough said. It offers solitude and serves as a great hiding spot. If you want to take a break from anyone or anything, this is the place to go. The majority of people know better than to bother someone using the bathroom. It’s a good place to decompress and pamper yourself. If you’ve had a bad day or just want to disconnect from the world for a little while, there’s nothing better than taking a long bath or hot shower. If you want to create a natural relaxing ambience, bring nature to you. Beautiful intricate timbers add a touch of warmth and serenity. There are so many colours and grains to choose from that you can match with the rest of your bathroom. Complete the natural look with an aesthetically pleasing plant. Something about marble decor makes a room appear so much more timeless and decadent. 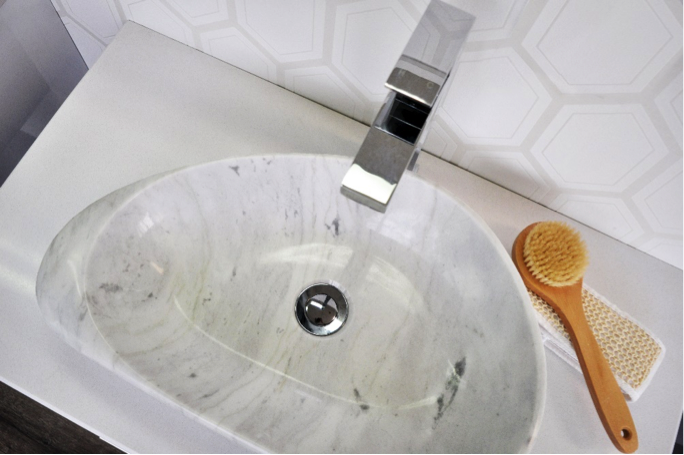 By simply adding a marble basin, you can create a statement with these dramatic natural textures. Leonardo Di Vinci said “simplicity is the ultimate sophistication” and we couldn’t agree more. 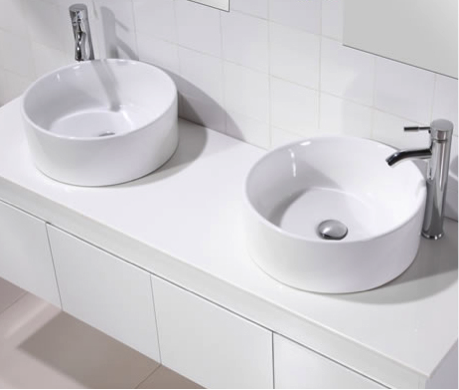 We love handle-less drawers because they eliminate the need to buy and match handles and compliment most bathrooms. No need to buy a shower base. Continue your floor tiles into your shower making sure you include a depressed slope so water is directed to go down the drain. This look makes the shower look like it is part of the room. 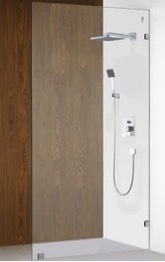 Frameless walk-in showers also make small bathrooms look bigger. Perfect for people who believe less is more. 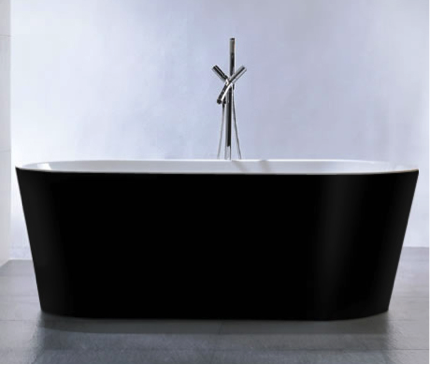 Angular designs are making appearances in a variety of bath elements, including bathtubs, taps and showerheads. Geometric tiles have been given a modern makeover, the latest trend being high contrasted grout to highlight the visually appealing angular shapes of the tiles. Bold, sophisticated, contemporary but timeless, just like a little black dress. If you want to make a statement trend but still want to stand the test of time, this is the way to go. To get more tailored advice, feel free to speak to a friendly Fontaine consultant at Stand B30.